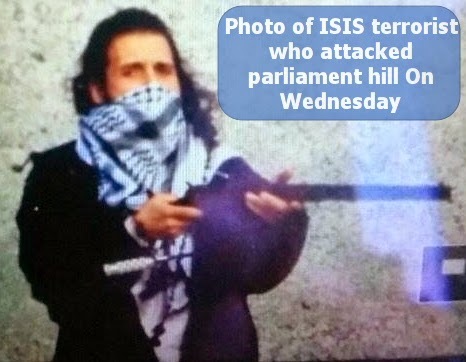 At last the identity of one of the gunmen killed during an attack at the Parliament Hills in Ottawa has been revealed. Michael Abdul Zehaf Bibeau was born to a Christian family in the province of Quebec back in 1982. His mother is an Algerian while his father was born in Canada. He recently converted to Islam and due to his long criminal history, he was considered high risk and had his passport revoked. With no online presence, Michael Bibeau who adopted the name Abdul Zehaf after his conversion to Islam was able to represent the Islamic State terrorists in his home country. Though Ottawa Police Spokesman believed 2 or 3 gunmen were involved, he’s the only one killed in the attack while his accomplices are believed to have fled. Abdul Zehaf shot a soldier at the National War Memorial on Wednesday morning before entering into the Centre Block and firing off more shots. The 32-year-old ISIS jihadist was raised in Quebec. He reportedly advanced to the library inside Parliament Hill before he was shot dead by Sergeant-at-Arms, Kevin Vickers. Worried about his extremist view, his parents reported him to the police early last year. “I looked out the window and saw a shooter, a man dressed all in black with a kerchief over his nose and mouth and something over his head as well, holding a rifle and shooting an honor guard in front of the cenotaph point-blank, twice,” “The honor guard dropped to the ground, and the shooter kind of raised his arms in triumph holding the rifle.”. His real name is Michael Joseph Hall, he first changed his name to Michael Abdul Zehaf Bibeau. At a time, he dropped the Michael in front of his name and few months later, he apparently dropped the Abdul. His parents are currently being interrogated. Hmmm why are these young converts turning extremists?? Think of Michael Adebolajo and Michael Adebowale that beheaded a British soldier in the UK, Martin Couture-Rouleau, who ran over a Quebec soldier (see his photo below), Abdul Zehaf who killed a soldier in Ottawa and many more around the world??? Something is definitely wrong. 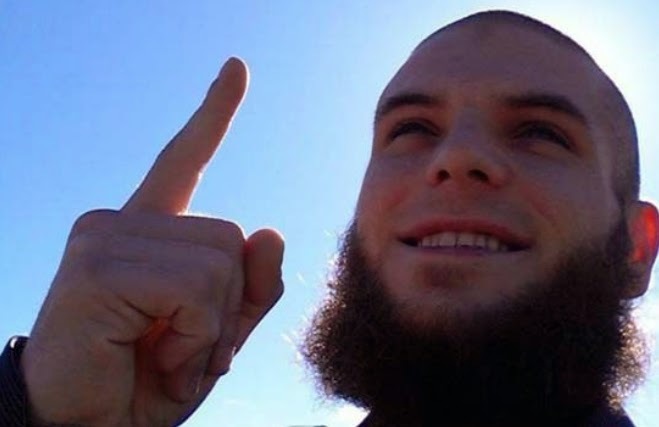 Martin Couture Rouleau, an Islam convert and fan of ISIS Jihadists ran over a Canadian Soldier in Montreal on Monday and later dialed 911 telling operators he was sent by Allah to kill the soldier. He was shot dead by police officers on Monday. To answer your question, these terrorists do not represent Islam, they are extremists as you call them because they have twisted the quaran to suit their needs. God is against them and peace loving muslim brothers and sisters all over the world are against them. why b say na only muslims b terrorists? @ akeem. When u are a success, failure will want to come your way, just bcos lslam is the only true religion acceptable to GOD Almighty, satan is using enemies of lslam to tarnish the PEACE image of lslam.